How the algorithms tech giant Google is determining ranking of search results is changing. With every day that goes by it becomes harder and harder to "trick" the system the way black-hatters used to. The internet as we know it is up to its neck in content and it is Google's job to help sort that out. It has to presents users with quality content or risk a migration to another search engine. In response to the changing nature of the web, in particular social networking. Google has, once again, changed the way they deliver results. Google is setting its mighty sights on illuminating the otherwise typically obscured content creator. Rewarding quality content, and creating incentives for websites and blogs to get social. The days of article spinning and low quality content are over. Google just isn't having it anymore. Websites that relied on such measure to get ahead most likely saw a rapid decline in traffic. This is the result of Google most recent Penguin update. SEO marketer's best hope for a Google ranking now comes from creating quality content. Develop a voice so that the reader knows just who is talking and can identify with them. Keep in mind the reading and age level of your audience, their tastes, and culture. Do keyword research to know what it is your audience is looking for. Write unique, well-formed and thought-out articles. Develop yourself into a trusted, interactive authority and reap the benefits. Make sure you are creating rich, reliable, fun, and engaging content tailored to your target audience that offers REAL value. Like it or loathe it, Google Plus, it would appear, is here to stay. Not only that but Google is taking advantage of its prominence. This could cause Google some problems in the future. Especially as people seem hesitant to join the party, but until it blossoms we have to play by the new rules. Simple things like creating a Google Plus page for your website and linking author bios. This will not only give you an SEO boost but will increase trust and authority. Google is taking this info and filling in "social spaces" around search engine results. Further Google is now indexing and ranking Google Plus posts. These are ones with original and useful content, with user interaction. While this might not directly help your search engine ranking it will help your visibility. Much of the purpose of the new update is to shed some light on the otherwise shadowed content creators. If people are talking about it, then it must have some value, right? That's what I think and that's what Google thinks. Google is giving priority to articles, infographics, and videos that are highly shared on social networking. This is one reason you should have a Facebook page. 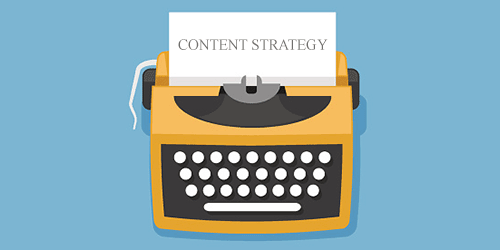 Utilizing tools that make your content easy to share will greatly increase your chances. You want to be included in these crucial discussions. There are myriad tools available out there to make this easy and it is only a matter of testing which ones work. The best thing for you is to implementing them and encouraging discussion on these pages. If you're reading this article chances are you're an Internet prospector or in the process of becoming one. While it's not unheard of for a prospector to just stumble across a mountain of gold. For the rest of us we rely on hard work and due diligence are paramount to success. What a lot of success stories leave out are the long hours of hard work and research. That go somewhere in between the great idea and the glory, riches, and fame. Hard work is the path to success. Creating good content is hard work and time consuming. Time is not for the wasting on only halfway decent or unoriginal spun content or ideas. Within this mountainous web-laden cavern of ever-changing SEO. The ideas lies Internet gold that is yours for the taking if you are but will to venture.